'The West Wing Weekly' Podcast Promises To Break Down Every Episode Joshua Malina, who played Will Bailey on the show, and Hrishikesh Hirway plan to take a deep dive into the critically acclaimed series. Cast members of the NBC drama The West Wing. 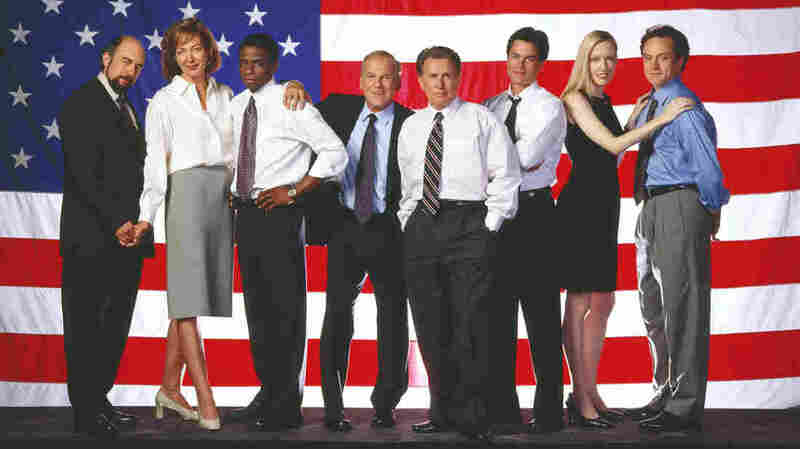 During its original run from 1999 to 2006, The West Wing was critically acclaimed, racking up 26 Emmy wins. The drama created by Aaron Sorkin frequently appears on lists of the best television shows of all time. And since it began streaming on Netflix in 2013, a whole new generation of fans have discovered the show praised for its depictions of goings-on inside the White House. But once you've binge-watched all seven seasons, how can you keep satisfying your Sorkin fix? Joshua Malina has your answer. 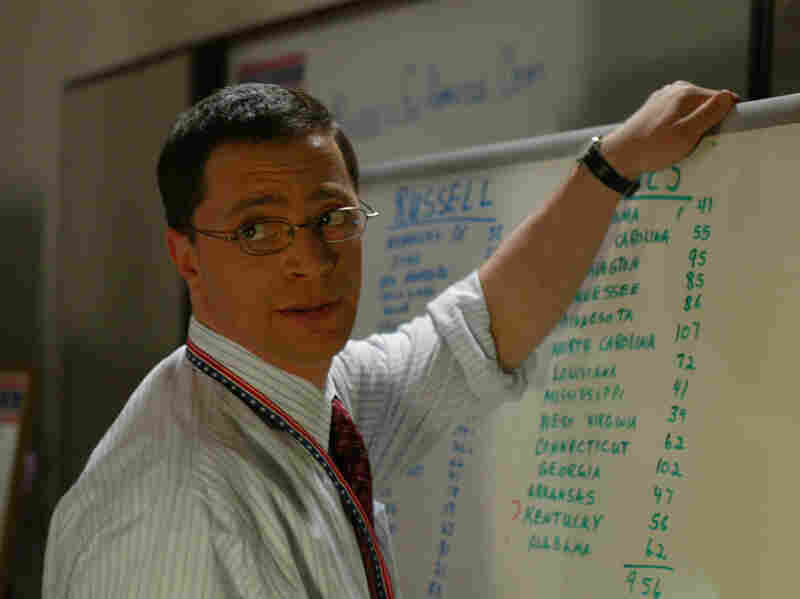 Joshua Malina played Will Bailey on The West Wing. Malina, who played Will Bailey on the last four seasons of the show, is launching a new podcast devoted to breaking it down episode by episode. On The West Wing Weekly, Bailey and co-host Hrishikesh Hirway plan to spend each week on one of The West Wing's 156 episodes. They spoke with NPR's Rachel Martin about their favorite episodes and why they thought the show was worthy of a podcast. Joshua Malina: I've been a frequent guest on other people's podcasts, and I have always wanted to find something that I could call my own. And Hishi had this idea and my first reaction was: I don't know enough about The West Wing. Because though I appeared on it for the last four seasons and I had been a huge fan of it and I've seen every episode, I saw them when they first aired — and I really haven't revisited them. So I'm enjoying the experience now because I am going back and revisiting a show that I watched 16 years ago. Hrishikesh Hirway: I've probably watched the show, certainly at least the first four seasons, I watched those — because I had them on DVD — maybe five, six times all the way through, if not more. Hirway: I'm a fan of the idea of the American dream and the American experiment. I love the potential [of] the country's democracy and our Constitution — all the things that we want out of government and out of the process of codifying our society. I love all of that stuff and I want it to be great. And I think that idea of America is really inspiring, and Aaron Sorkin tapped into it in such a profound way. Malina: Our dream is that we will in fact talk our way through the entire series. It'll always be the two of us, occasionally it'll be solely the two of us jawing about each episode — what we liked about it, maybe what we didn't like, how Aaron's writing tends to be very prescient. And while it was topical then, it's just as relevant now. And so we'll certainly talk about things that are happening today and have a tie-in to older episodes. And for sure I will function as a conduit to other people who were on the show. Malina: There's an episode called "No Exit." Every series, usually late in the game, starts contemplating having these "bottle" episodes, which are episodes that are self-contained and thus less expensive to produce because people are on one set or a limited number of sets. ... I think in "No Exit" there's been an anthrax scare at the White House. And so in little groups of two or three we are locked down in the White House, and my own storyline has Will Bailey in a room with Toby. And I always enjoyed — I enjoyed working with everybody on the show — but I particularly enjoyed working with Richard Schiff, in part because he and I are just absolutely antithetical in our approach to acting. Which is probably one of the reasons why he's so much better at it than I am. I tend to memorize the lines and show up and say them in the right order at a reasonable volume, but he really thinks deeply about what it is he's going to do. He's the kind of guy — I remember in one episode, as we rehearsed and blocked the scene, [he was] demanding to know, "Why at this point am I picking up the phone?" I remember saying, "Richard, because your next line is 'Hello,' and it's addressed to the person who's calling you. What other possible piece of blocking could we have?" So I remember not so much the end result of the episode, though I'm looking forward to seeing it — I remember the making of it. I enjoyed battling with him, and we had a lot of fun shooting that episode. Hirway: I also have one that I'm excited to talk about with Josh because it's another great Will and Toby moment, which was in "Holy Night." The entire cold open is done in Yiddish, which I remember being blown away by. And it has the music of Cole Porter in it. That's one of my favorites.